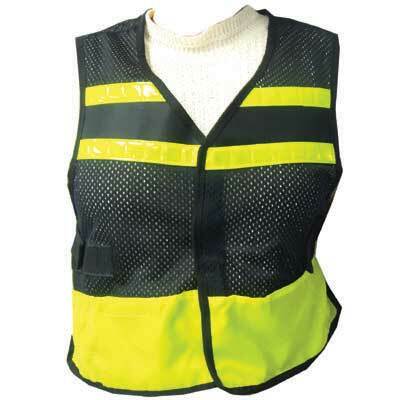 Durable black mesh with yellow fabric panel. Velcro closure. Provides maximum visibility durning any riding conditions. Light weight and easy to care for.